I try very hard to avoid spouting my opinions on matters that don’t directly have to do with me, especially the more sensitive topics like race or religion or politics, which almost always end in a heated state, but I find myself in a such a disturbed state today that I just cannot keep quiet about this. 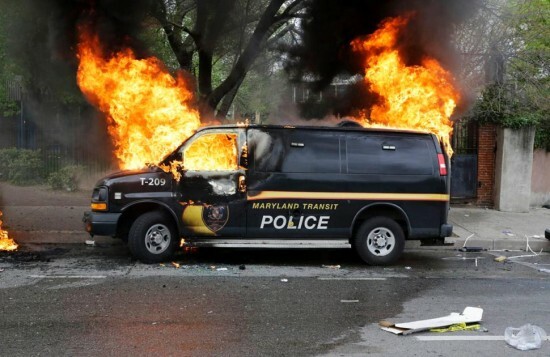 Baltimore is under attack by it’s own citizens, in the foolish name of Justice, and I can’t even handle how sick this makes me feel watching from the sidelines. I’ve never been so glad to not live directly in the city, but even on the outskirts of it, I’m afraid. Afraid for my friends and family that live and work there, afraid for all the business owners whose lives are being turned upside down, afraid for all the citizens who don’t want anything to do with what’s happening but don’t have the option of escape, afraid to see Charm City lose all it’s goodness in a handful of days and for what!? I am all for people being properly punished for unjustified crimes. If those police officers are truly guilty of murder then they deserve the worst. But only them. Not the police department as a whole; certainly not the entire city. One bad seed does not equal a bunch. Bad seeds exist everywhere, in all walks of life. They don’t represent the greater majority. I want to understand how rioting and scheduling “purges” equals justice? What is justice in this case anyway? A man died; nothing will bring him back. This out-lash of violence and destruction only makes you an ugly person, not the hero you seem to think you’re being in the name of Justice. Two wrongs never made a right. I know someone will read this and say, but Black Lives Matter!, but I counter that ALL Lives Matter! Why do people feel so entitled in reacting this way, hurting innocent people who never wronged them in the first place, stealing things that aren’t yours, ruining other people’s property – property they worked hard for? Someone else will probably say I must be racist then for not supporting this supposed justice being sought, to which I’ll just roll my eyes. This has nothing to do with race in my opinion; it’s become more than that now. Those peaceful protests at the start, they were about something real. The mania that’s going on now, that’s not about anything of value. It’s just pure insanity and it needs to stop. There is injustice all over the world: Race vs. Religion vs. Wealth vs. SO MUCH MORE. It’s not a fire to be fought with fire, it’s a battle to be won with intelligence and patience and steadfast. I’m positive the path to peace isn’t a violent one. How have we not evolved enough to understand this yet? The governor has just issued a State of Emergency and the National Guard has stepped in. It’s unreal and terrifying how fast this has escalated. I truly, truly hope people start using their heads and realize what they’re doing to their own home. That this doesn’t help their initial cause, it just makes it worse. There is a better way, people. Wake up. UPDATE: Yesterday, tons of volunteers poured into the streets at the break of dawn to start the clean-up process from the wreckage the night before. Something like 144 cars were burned and 7 buildings, one of which was a brand new 16 million dollar community center about to open to help the city, which is just so sad to see. By the days end the crowd had returned to the peaceful, purposeful protesting it started with before everything got out of hand – with legit chants and drums and even dancing. It was such a refreshing sight to see. The mayor had put a curfew in place and there was a bit of turmoil as 10 pm hit, but for the most part everyone went home and stayed there until the curfew lifted in the morning. Really glad to see people getting their heads on straight over this. They have every right to want answers, but answers can’t be found with violence. I’m so glad people are choosing the higher ground right now. I pray it remains this way. I finally got to see my sisters house which, aside from being in the city (which I’m not a fan of), is really awesome. I could so see myself living in a place like this if it didn’t have to be located in a crowded downtown district. Here’s some pictures of its awesomeness. Then we had desert at this place called, Dangerously Delicious Pies which is appropriately named so. The pies are like 28.00 bucks, but completely worth it and unlike any pies you’ve ever had before. 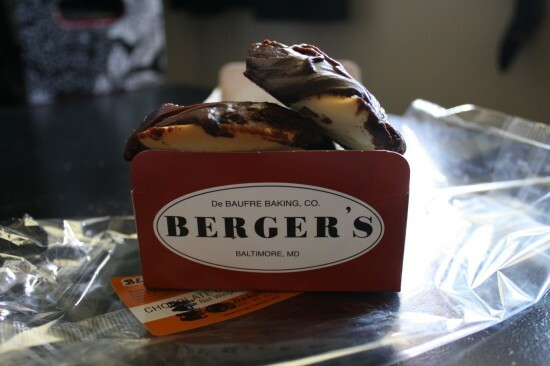 Even Bobby Flay came to Baltimore just to have the pie we had today, which is called “The Baltimore Bomb” and consists of Baltimore’s well known Berger cookies. Oh my, delicious!! I should have taken a picture of the actual pie we ate, but we were ravenous for it and I didn’t think about it until after the fact. The pic shown is from their site. 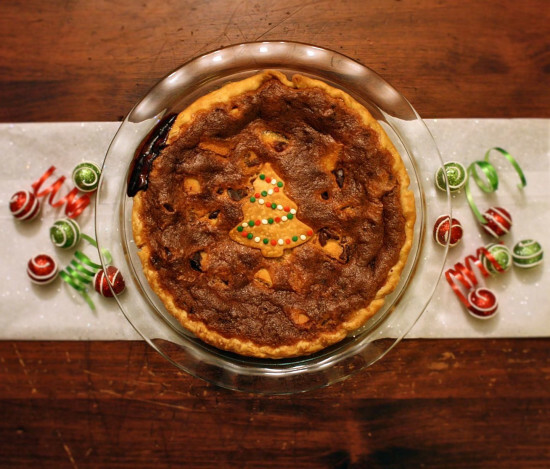 They make sweet pies and savory pies and you can even order them from anywhere in the US. Overall it was a great day and really fun spending time with my sister since we aren’t exactly as close as I’d like to be. I’m sleepy now though and it’s only 9pm. Being outside all day in the sun can be tiring, and eating all of that food too. P.S. Thanks everyone for all the positive remarks to my snippet last night. It’s amazing what a boost of confidence it was and how much it just wants to make me hurry up and finish the rest of it. Many many thanks!